If people are living longer, then as a natural consequence, they’ll need to work longer, which requires continual career growth.4 The old rules of retirement were written toward an economy where most of the work being done was manual labour, and reaching the age of 65 was viewed as being liberated from the intensive daily grind.5 However, as disruptive technologies emerge and change the business environment, working professionals are being tasked with having to upskill continually, which presents new opportunities to grow and develop. Another technique is to send out an anonymous leadership survey to all employees to gain a greater understanding of their career goals, where they feel leadership needs to be improved, and what types of training they are drawn towards. The development of employee leadership is beneficial to your staff and has a positive impact on your bottom line, but with it comes the satisfaction and fulfilling experience of seeing another reach their potential. 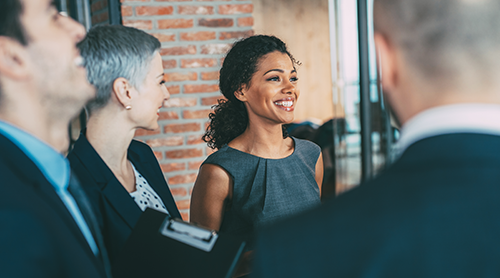 By ensuring every employee is respected and given a chance to prove their worth, whether they’ve been in the company for six months or 16 years, is a mutually advantageous experience for both parties involved. George Patton, former General of the United States Army once said, “Don’t tell people how to do things, tell them what to do and let them surprise you with their results”.25 Learn to foster an environment that encourages innovation and leadership in every sphere of your business. 1 Escamilla, J. (Nd). ‘The social security dilemma’. Retrieved from EDGE. Accessed 8 Mar 2019. 2 Foreman, K.J., Marquez, N., Dolgert, A. et al. (Oct, 2018). ‘Forecasting life expectancy, years of life lost, and all-cause and cause-specific mortality for 250 causes of death: reference and alternative scenarios for 2016–40 for 195 countries and territories’. Retrieved from The Lancet. 3 (Nov ,2018). ‘Lifespan continues to increase with each generation’. Retrieved from Futurity. 4 Bersin, J. (Oct, 2017). ‘The future of work: The people imperative’. Retrieved from Deloitte. 5 Koulopoulos, T. (Feb, 2019). ‘It’s time to say it: retirement is dead. this is what will take its place’. Retrieved from Inc.
6 Cairnes, R. (Jun, 2018). ‘Here’s why you’re better off retraining employees than hiring new staff’. Retrieved from Business Insider. 7 (Nd). ‘Profiling’. Retrieved from Arlandria. Accessed 8 Mar 2019. 8 (Nd). ‘Developing employees into leaders interactive guide + workbook’. Retrieved from Linkedin Learning. Accessed 8 Mar 2019. 9 (Nd). ‘Developing employees into leaders interactive guide + workbook’. Retrieved from Linkedin Learning. Accessed 8 Mar 2019. 10 (2018). ‘Employee retention report’. Retrieved from Tinypulse. 11 (2018). ‘The rise of the social enterprise 2018 Deloitte global human capital trends’. Retrieved from Deloitte Insights. 12 (Nd). ‘Developing employees into leaders interactive guide + workbook’. Retrieved from Linkedin Learning. Accessed 8 Mar 2019. 13 (Nd). 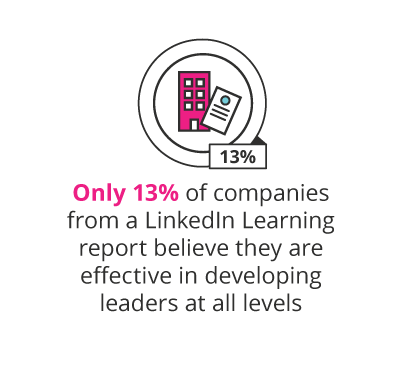 ‘Developing employees into leaders interactive guide + workbook’. Retrieved from Linkedin Learning. Accessed 8 Mar 2019. 14 (Jun, 2018). ‘Here’s how to identify critical leadership gaps in your organization’. Retrieved from Forbes Coaches Council. 15 (Aug, 2017). ‘The top 6 rules of leadership networking’. Retrieved from Center for Creative Leadership. 16 (Aug, 2017). ‘The top 6 rules of leadership networking’. Retrieved from Center for Creative Leadership. 17 Gregory, A. (Feb, 2019). ‘5 ways to keep employees motivated and challenged’. Retrieved from The Balance Small Business. 18 Gregory, A. (Feb, 2019). ‘5 ways to keep employees motivated and challenged’. Retrieved from The Balance Small Business. 19 (Nd). ‘Ownership mindset’. Retrieved from Business Agility Institute. Accessed 8 Mar 2019. 20 (Apr, 2017). ‘5 ways to build a culture of ownership’. Retrieved from Forbes. 21 Reddy, C. (Nd). ‘How to create an ownership mentality in your team?’ Retrieved from wisestep. Accessed 8 Mar 2019. 22 Reddy, C. (Nd). ‘How to create an ownership mentality in your team?’ Retrieved from wisestep. Accessed 8 Mar 2019. 23 (2018). ‘The future of jobs report 2018’. Retrieved from World Economic Forum. 24 Chamorro-Premuzic, T. & Bersin, J. (Jul, 2018). 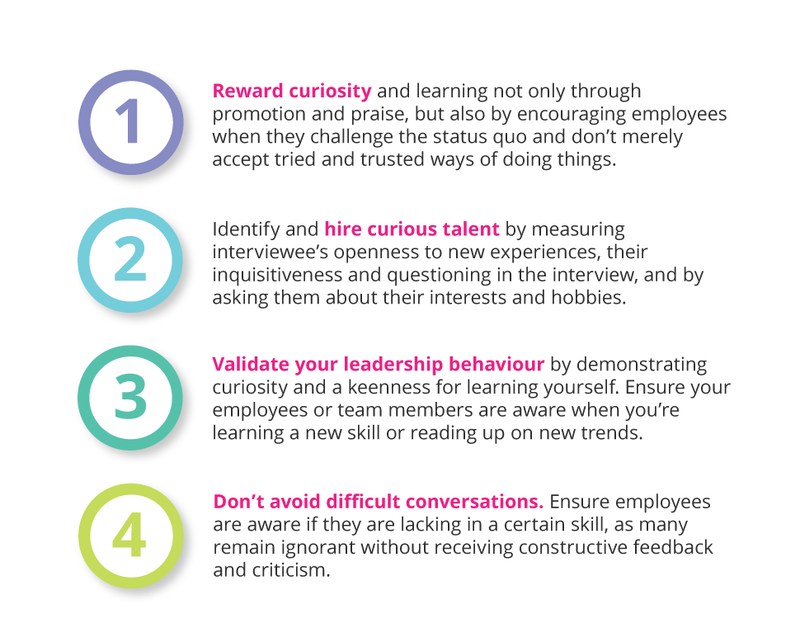 ‘4 ways to create a learning culture on your team’. Retrieved from Harvard Business Review. 25 (Jun, 2017). ‘12 inspiring leadership development quotes’. Retrieved from Nexa Learning.